A powerful yet eco-efficient 2.0L 4-cylinder engine generates 173 hp and 154 lb.-ft. of torque. The aluminum engine block and head with DOHC, 16 valves and Dual-CVVT improve torque and fuel economy with an EPA-estimated 34 Highway MPG. This innovative feature lets the driver customize the control and feel of the steering right from the steering wheel. Select from three options: Comfort, Normal and Sport. Perfect for offering added visibility in rain, dust or even snow and keeping you focused on what's up ahead. They're also a brilliant way to attract attention and help you stand out from the crowd. 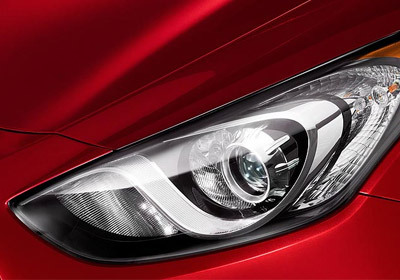 With a sculpted hood, projector headlights and available LED tail lights, it's too bad you can't enjoy a view of the exterior while you're driving. Be sure to make every attempt to savor the Elantra GT's handsome looks before you hop in and drive. Here's a tip: Seek out highly reflective buildings. 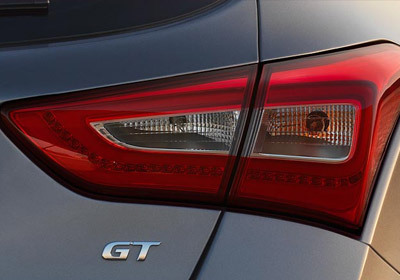 Tailor the Elantra GT to your desires. Select from the available premium features, such as, leather seating surfaces, a 10-way power driver seat with lumbar support, panoramic sunroof, Proximity Key entry with push button start, plus dual automatic temperature control with CleanAir Ionizer and Auto Defogging System. Not too hot. Not too cold. Just right. That’s how Elantra GT’s ingenious cooled glove compartment keeps whatever you put in it. We’re betting it won’t be gloves. With the rear seats folded down, the Elantra GT’s 119.1 cu. ft. of interior volume and 51.0 cu. ft. maximum cargo volume are both more than the Ford Focus 5-Door. * As a matter of fact, the Elantra GT has so much room inside that it feels like a midsize car instead of a compact. 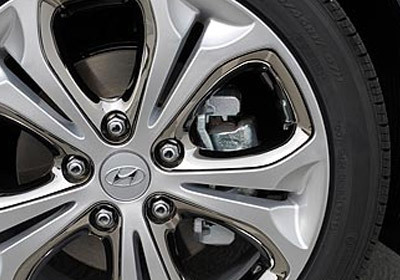 Elantra GT uses high tensile and ultra high tensile strength steel for a light, strong and rigid body structure. A stiffer body structure makes for a safer vehicle, plus it allows engineers the added flexibility and opportunity to create a car with better handling and more precise steering.